The Palin family played their supporting roles with touching amateur humility, as stunned and pleased as the new American Idols they are (abstinence-only graduate Bristol and shotgun fiancé Levi Johnston also looked stunned, though probably for different reasons). Baby Trig slept in the arms of Cindy McCain, seated beside First Dude Todd. Her embalmed face provided a sort of bluescreen against which he glowed with working-class virility. Early polls had the speech bumping McCain’s “definite” voters up by double digits across party and gender. Palin may have mentioned Venezuela, but her brand is an enduring one, reliable for selling everything from oil-guzzling pickup trucks to oatmeal cookies: rural, small-town America. But it is the unspoken backstory, at least as Palin and the Republican Party subtly tell it, that gives the brand its power. Much of the rural South is black and the rural Southwest brown, and it is the rare small town without its Asian residents. But “country” reads red, white and blue — with the emphasis on white. Sarah Palin’s twangy voice sang the country-music lyrics: this “gal” and those “good ol’ boys” and — my favorite — “snow machine,” which any self-respecting Vermonter knows is the correct term for what city folk refer to as a snowmobile. But behind the rhetorical banjo pickin’, both Palin and her warm-up act, Rudy Giuliani, tuned in to another channel and let it play faintly in the background: a DJ turning Soulja Boy, perhaps with a little Beethoven mixed in. Barack’s music: urban, brainy and, of course, black. “We grow good people in our small towns, with honesty, sincerity and dignity,” Palin quoted “a writer” praising President Harry Truman. Is it the paranoia of a born-and-bred city girl that infers another message: that our big cities grow bad people — duplicitous, cynical and immodest? Rudy started the scary-city talk by evoking the young Obama cutting his teeth on “Chicago machine politics.” The former prosecutor and mayor cut his own teeth on New York Republican machine politics — and, needless to say, the guy’s got negative backcountry cred. But Rudy could distance his own urban-ness from that of the Democratic candidate. With the Chicago reference he implied entrenched corruption — but also, silently, entrenched black power. The next bugaboo that crept onstage was the Intellectual, a.k.a. the Elitist. “Washington elite” (would that be her running mate? 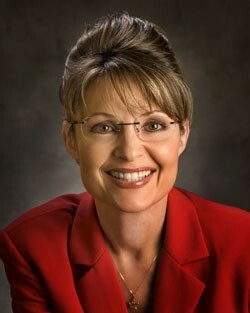 ), spat Palin, the words coated in venom. That bitterness was matched only by her disdain for “reporters and commentators,” those pointy-headed piss-ants crawling over Alaska for clues — how dare they! — about who the vice-presidential candidate is. Rudy, who gargles venom every morning, dipped “Ivy League education” and “cosmopolitan” in poison, too. And then there was the ridicule Rudy and Sarah heaped on Obama’s experience as a community organizer. Giuliani could barely say the words without dissolving in hilarity. I don’t know about you, but the term “community organizer” brings to mind an image of a black or brown person shaking her fist before an audience on folding chairs in a public housing common room — or, in Rudy’s case, thousands of them, outside City Hall. The former mayor’s laughter was a kind of esprit de l’escalier, a riposte to the organizers and the enraged masses they brought to the streets each time — and there were numerous times — his police department gunned down another unarmed person of color. Now he was talking to “his” people, and his relief came out in irrepressible glee. While reviving the near-dead culture wars with Sarah Palin’s candidacy, the GOP was also bringing back a tactical chestnut: appealing to the whiteness, and racism, of its core. It just might work. And then, it might not. Because that attack on community organizers also struck me as the one tone-deaf note in an otherwise pitch-perfect performance. Beyond racism, it revealed the true Republican heart — a heart that is hard to the plight, and dismissive of the collective power, of regular people. The community organizer provides a neat metonym of all the Republican Party is antagonistic to. Community has no place in a nation whose only recognized institutions are the family, the corporation and the military. To a party (including John McCain) that cedes unprecedented power to the executive branch and trusts the chief executive officer more than the democratically elected government official, popular organizing is an annoyance, or a threat. “Community organizing is the foundation of the civil rights movement, the women’s suffrage movement, labor rights, and the 40-hour workweek,” Plouffe continued, reeling off a few of the GOP’s chief victims. “And it’s happening today in church basements and community centers and living rooms across America.” Including, one might add, the church basements from which sprang the evangelist Sarah Palin, and where a community of anti-choice, creationist, library-book-censoring sisters and brothers will soon be trying to phone-bank her to the White House. In Vermont, we know the reality of small-town life. With all its virtues, it is not always honest, sincere or dignified. It can be violent, especially if you are queer or black or come from a trailer park. Small-town government can be petty and self-serving, as was Palin’s Wasilla, Alaska, administration, according to some locals (see www.andrys.com/palin-kilkenny.html). We also know that small towns and rural landscapes are disappearing, thanks in part to Republican policies, from Big Agriculture-favoring farm policy to free-market favors to sprawl-creating development. If you live in Alaska and your beaches are black with spilled oil or your village is stranded by melted ice, the destruction is dramatic (though not plain, it seems: The Alaskans were yelling loudest when the delegates burst out chanting, “Drill, baby, drill!”). The country song is as much a eulogy to rural life as a celebration of it. Some lyrics explicitly lament the losses. Those are not the ones Bush-Cheney speechwriter Matthew Scully scripted for Sarah Palin. Yet, if elected, Palin’s party will make its future ballads even sadder — both for the folks it exalts and the ones it demonizes. The sour notes lie deep in the folksy, feisty melody. And the beauty queen’s smile cannot hide the Barracuda’s white teeth.